Finland is implementing its development policy through a range of different cooperation models. The objectives set for the work are met quite well. Finland is cooperating bilaterally with developing countries based on 13 country strategies. Country strategies extending to 2019 have been drawn up for cooperation with Afghanistan, Ethiopia, Iraq/ Syria, Kenya, Middle East and North Africa, Mozambique, Myanmar, Nepal, Palestinian territory, Somalia, Zambia, Tanzania and Vietnam. In 2017, country strategies accounted for 27 per cent of Finland’s development cooperation. 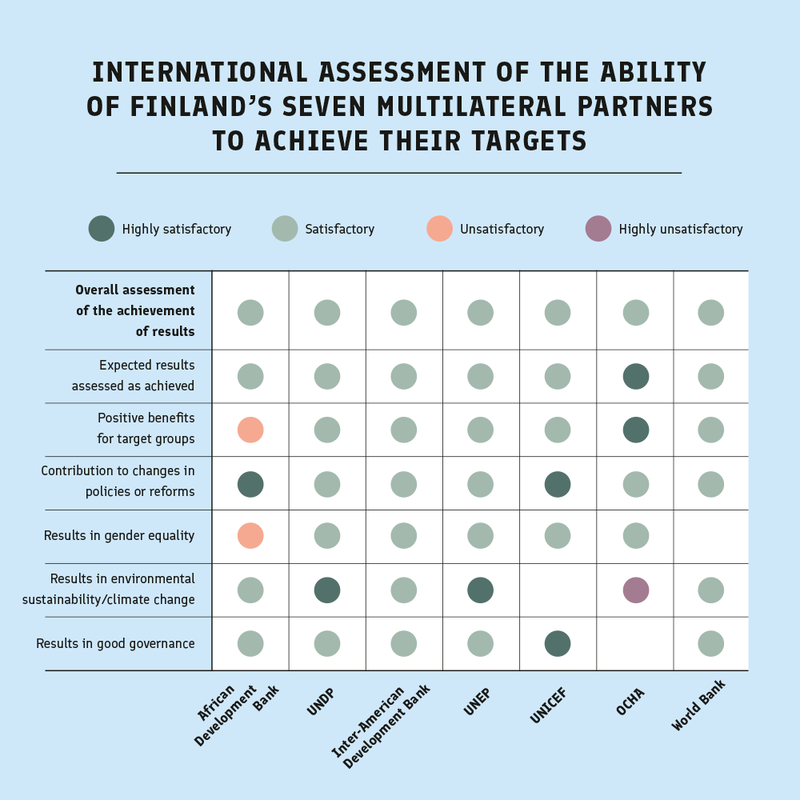 Success of the cooperation with multilateral actors is monitored on the basis of international assessments and Finland’s own influencing plans. In 2017, multilateral cooperation accounted for 29 per cent of Finland’s development cooperation. The Ministry for Foreign Affairs has a broad range of funding modalities to support civil society work. In 2017, support for civil society work accounted for 12 per cent of Finland’s development cooperation funding. Programme support covering a broad range of different projects is granted to 22 Finnish civil society organisations. 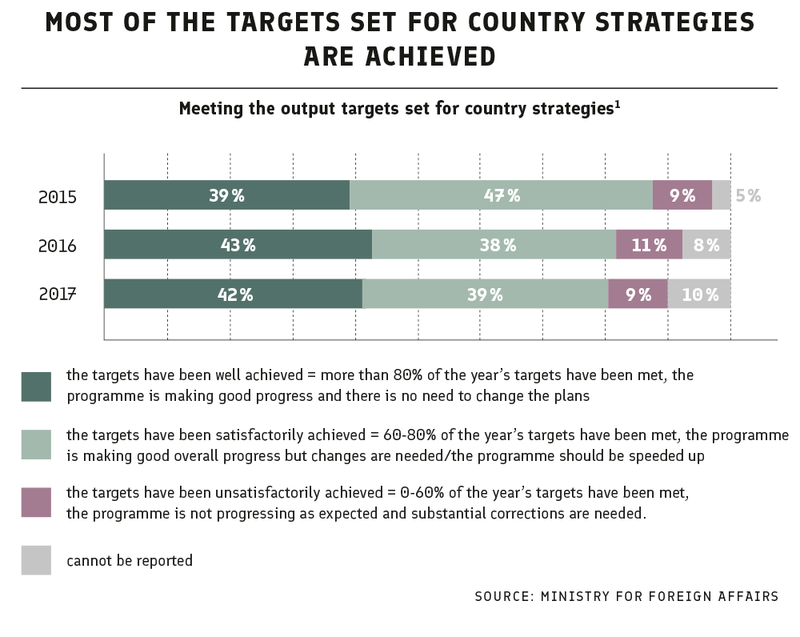 In 2016 and 2017, the Ministry for Foreign Affairs commissioned a three-part evaluation of the development cooperation programmes of all civil society organisations receiving multiannual programme support. The evaluation covered for example the performance monitoring and results based management systems of these organisations. According to the evaluation results, the programmes run by civil society organisations generate outputs in an efficient manner, especially in the provision of services and the focus in them is on grassroots level. better results should be achieved in the support for enhancing the capacity and effectiveness of the civil society in partner countries. The Ministry for Foreign Affairs has a broad range of funding modalities to support companies’ business initiatives in developing countries so that development goals can be advanced. The idea is to mobilise private funding and investments, and promote business in developing countries through catalytic use of official development assistance. 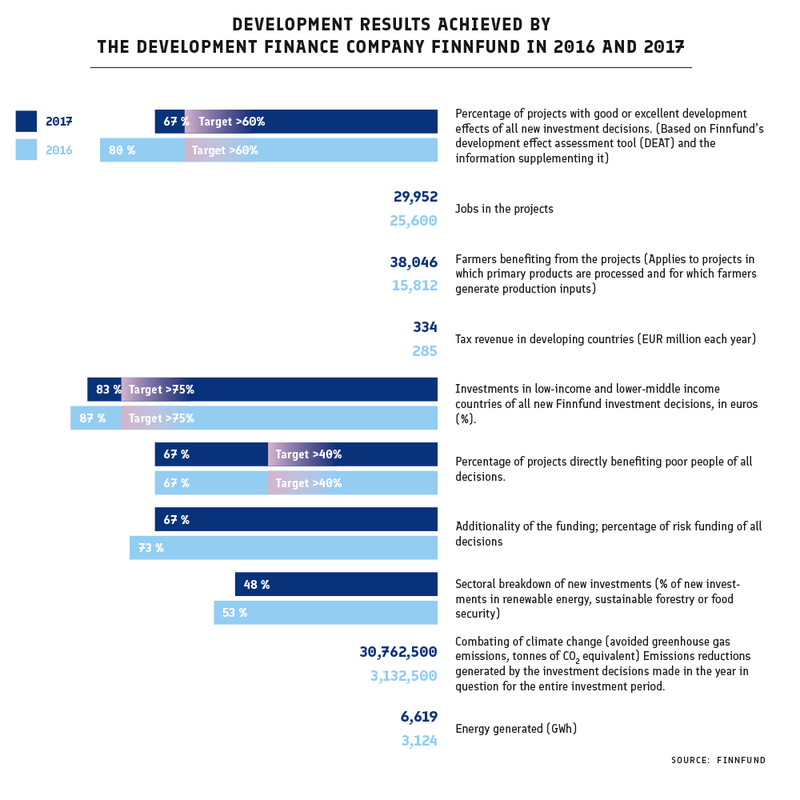 2012, Finnfund has been instructed to channel at least 75 per cent of its investments to lower-middle income or poorer countries, and it has managed to meet this target.